This article covers detailed guide on asurion phone insurance services, starting from asurion insurance coverage, to filling asurion phone claim. Asurion insurance offers insurance coverage to over 280 million customers in 18 countries through partnerships with wireless carriers including Cricket, Verizon, T-Mobile and AT&T Mobility. Asurion operates about 25 customer contact centers mainly in the US but also in Canada, the UK, and Asia. It services ranges from insurance for iPhone and Android devices, to warranties for TVs, laptops, tablets, appliances, and even your favorite gaming system. As with many types of insurance, mobile protection has its naysayers—those who believe that protecting your phone in the event of loss, theft or damage is a waste of money. Therefore, before taking any decision, make sure you know the facts. Why Asurion's Mobile Insurance Plan? Peace of mind, and a whole lot more. To enroll for asurion phone insurance you need to check if you are eligible. To check, call or visit your wireless provider to see if you are eligible. As you are only eligible to enroll if you are within 30 days of activating or upgrading your device. The list of Asurion covered devices depends on your wireless provider’s specific cellular phone insurance program. Examples of eligible devices are phones, Smartphones, Tablets, Netbooks/notebooks, Laptop Connect Cards (data cards and Mi-Fi devices). Note after enrollment, there is no waiting period before filing a claim. Asurion, requires that you pay a deductible at the time a claim is filed. Although most cases the deductible is far less than the full retail price that you would pay for a new smartphone outside of contract renewal. 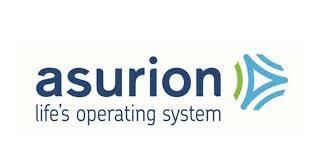 Asurion insurance deductible is required to complete your claim and ship your device. According to asurion most of replacement devices ship next business day, from the time your claim is approved.